David Gandolfo studied Economics at La Trobe University before commencing his finance career in 1982. 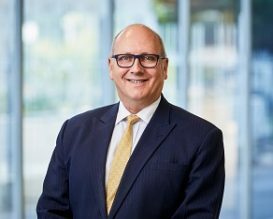 As a Director of Quantum Business Finance, a delegate to the Australian Finance Conference, and Founding President of CAFBA, David Gandolfo is universally regarded as being at the top of his profession. He is a regular guest speaker at training sessions held by industry associations, corporations and CPA discussion groups and is often called upon to provide commentary to legislators and media commentators. His day to day practice lies principally in $500K+ client relationships, financing specialised equipment such as lasers, engineering plant, materials handling equipment and multimedia equipment where specific expertise is required to convey the equipment’s attributes to a prospective lender. He also arranges Fleet Management and Novated Lease facilities for company motor vehicle fleets.